24 December 2016 – 1 January 2017, get into the holiday spirit and join us at Café Kantary for our Lucky Draw for Christmas Trees & Holiday Treats. 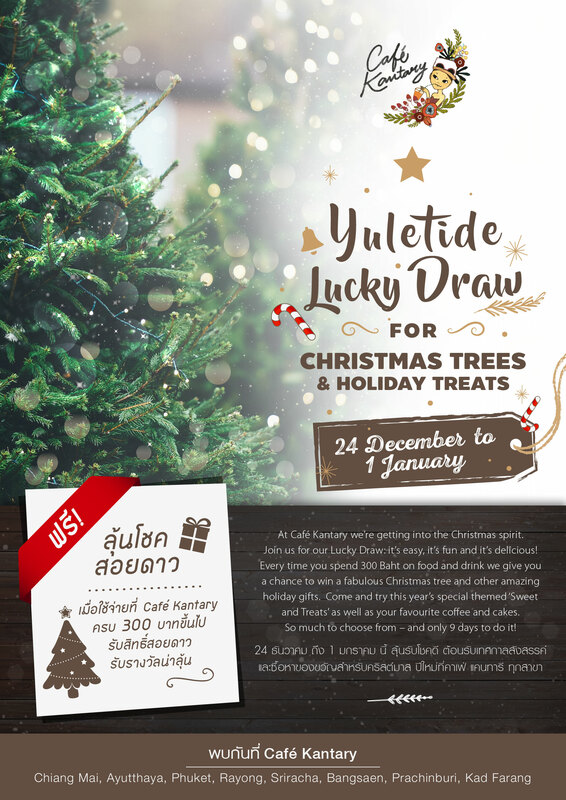 Purchase food and beverages valued at 300 Baht or more and receive a chance to win a splendid Christmas tree and other spectacular holiday gifts – and be sure to enjoy our delectable holiday-themed ‘Sweet and Treats’. To win, enter the draw at Café Kantary locations across Thailand! วันที่ 20 ธันวาคม 2559 เวลา 15:31 น.